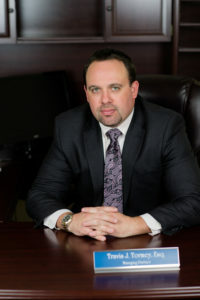 Travis J. Tormey is the owner and managing partner of the Tormey Law Firm LLC. Travis has focused his entire career on criminal defense after spending time at the United States Attorneys’ Office in Newark, New Jersey. After that, Travis worked for two of the largest criminal defense practices in New Jersey before starting his own firm in 2012. Originally based in Paramus, the Tormey Law Firm’s main office moved to Hackensack, New Jersey in 2014. We also have office locations in Morristown, New Jersey and Newark, New Jersey. Travis has been cited by numerous news organizations including AOL news, the Daily Record (Morris), the Asbury Park Press, the Bergen Record, the Star Ledger, NJ.com and appeared on CBS radio as a legal analyst. To speak with Mr. Tormey directly, contact our offices now at (908)-356-6900. For more information or to speak with Mr. Tormey directly, contact our offices anytime at (908)-356-6900.